One of the most surprising and strange stories to pop up today was about the possible resurrection of a comedy legend. For the last 29 years fans of actor and comedian Andy Kaufman have perpetuated a conspiracy theory that the star didn't die of lung cancer back in 1984, but instead actually faked his own death to get away from the spotlight - and earlier this week at the Andy Kaufman Awards in New York City there was some heavy suggestion that those rumors were true. A 24-year-old woman took the stage at the event, alongside Andy Kaufman's brother Michael, and "revealed" that she is the comedy icon's daughter and that her father is still alive. Previously we only had written accounts of what happened, but now the above video has surfaced online. 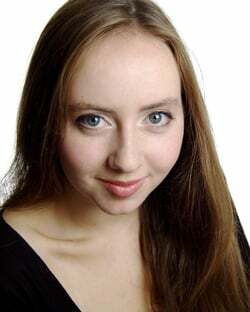 Her name is Alexandra Tatarsky according to this website and she's a theater artist from New York City. An exploration of Alexandra’s Facebook page confirms that she’s definitely not Andy’s daughter. In fact, she’s the daughter of a 58-year-old New York psychologist named Andrew Tatarsky. While a few of our more astute commenters have pointed out that in some of Alexandra’s photos with her dad, Andrew does slightly resemble Andy Kaufman, he doesn't resemble him enough to make anyone believe that Andy has been hiding out in New York specializing in substance abuse treatment for the past thirty-years. Andrew’s Facebook profile is definitely not Kaufmanesc. So, while all common sense and logic tells me that I shouldn't believe that Andy Kaufman is still alive, I will admit that a huge part of me wants to believe it. Not only would it be absolutely mind-boggling to know that one of the greatest entertainers of all time pulled the most brilliant prank ever, but I just want to know if something like this is even possible. Can someone as famous as Kaufman really fake his own death and fall off the map for the better part of three decades? Then there's the number of doors it opens conspiracy theory-wise. Is Elvis alive too? What about Tupac? I posed the question when the story first broke online earlier, but now that we have video evidence from the event: is it possible that Andy Kaufman is still alive? Answer our poll below and tell us what you're thinking in the comments section.